Coontie is a very hardy, slow-growing cycad that works well as a superb, low-maintenance shrub. Sometimes called "Coontie Palm," this is not actually a palm but a palm-like cycad plant. It's one tough cookie - perfect for dry areas, cold tolerant, not choosy as to light - yet it provides an appealing fine-textured look. These are ideal plants to surround a mailbox, line a walkway, accent a tropical garden bed, or go almost anywhere you can think of. The legendary cycads have been around for, well, nearly forever - and this beautiful cycad is one of the smallest. It's not as prickly as some other varieties so it's safe to plant near foot traffic areas. This small "shrub" grows very slowly to 2-1/2 to 3 feet tall by 3 feet wide. It takes full sun to full shade. 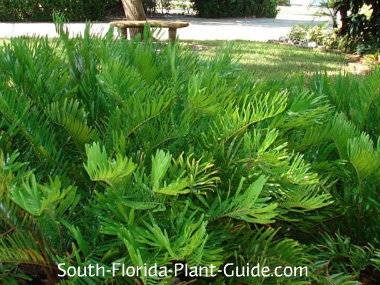 Cold hardy anywhere in South Florida, this little cycad plant is drought-tolerant once established. These plants take very little care. No soil amendments are needed when planting, and cutting off a dead leaf stem once in a while is all the trimming you'll need to do. Fertilizer helps to keep the plant at its best, so fertilize with a high quality granular fertilizer 3 times a year - spring, summer and autumn. Water regularly but with ample time for the plant to dry out between waterings - or at least give it water during dry spells. Because they take forever to grow and don't get very big anyway, plant about 2 feet apart (unless you've bought a larger pot size like 7 gallon, then plant 3 feet apart). Come out from the house about 2 feet. Like all cycad plants, it does very well in containers, as long as it's allowed to dry out between waterings. 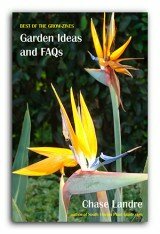 COMPANION PLANT SUGGESTIONS: Place with other drought-tolerant plants such as crown of thorns, clusia guttifera, agave, bougainvillea, Green Island ficus, and orange bird of paradise.